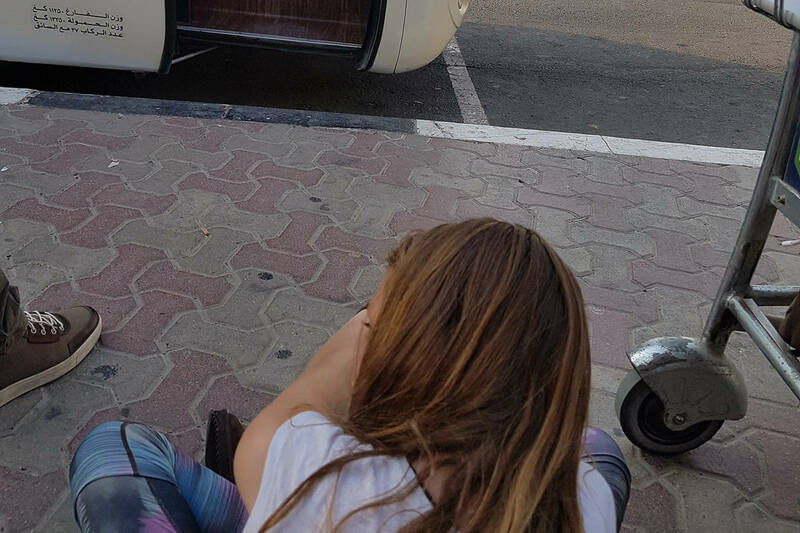 Having listened to many other European parents rave about their experience of breaking up their journey by stopping off in Dubai, my family recently decided to try it ourselves. The reasoning behind the decision was simple. The last time we travelled long-haul was with a toddler, we went straight through on two flights travelled for 23 hours and the jet-lag nearly killed us! 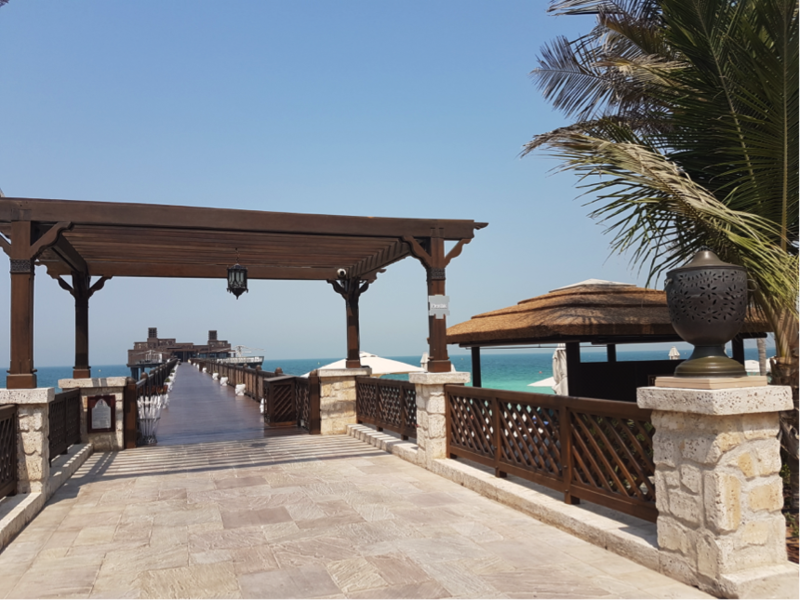 I wasn’t convinced that the two day stop over in Dubai was going to fulfil my cultural needs as an experienced traveller (especially considering I was going to be there with a teen and pre-teen), but since becoming a parent I have learnt to put my needs aside and realised that the more important people to consider when it comes to long distance travel are the kids – because if they are happy, everyone is happy! My 9 year old daughter said she really wanted to go to a water park. So I took the plunge and decided to kick-start the holiday by splashing out on a five star resort, a decision that I did not take lightly. But we had saved some money by travelling to the UAE via Abu Dhabi on Etihad Airways and utilised the free shuttle bus from the airport to Dubai, so I figured there was some extra funds to put towards the extravagance. I did a lot of research about where we could stay and what we should do, but being unsure of how jet-lagged we would be when we got there, I didn’t want to book in too much. 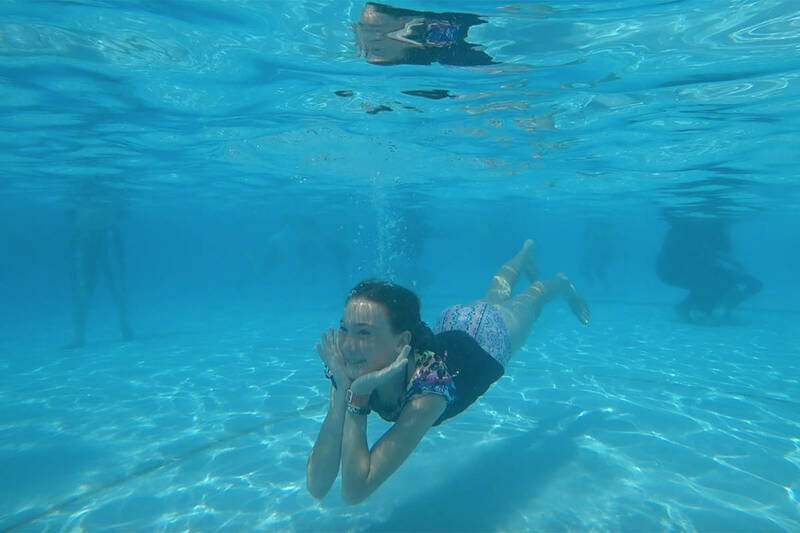 When I discovered that if you stay at Jumeirah Beach Resort you get access to the Wild Wadi Waterpark™ for free, and we were able to enter the water park on both our arrival and check out days, I was sold. Having the option of also selecting a half board package, meant our breakfast and dinner was included for the whole family, so if the kids weren’t feeling up for much exploring, we didn’t have to leave the resort. The Wild Wadi Waterpark was blissfully quiet, had limited queues and lots of great rides to get the kids excited. We stayed for a good 3-4 hours before the hunger kicked in and we headed back to the resort for our dinner. With the dining vouchers we received with our half board package we were given a choice of over 60 restaurants across Dubai including Burj Al Arab Jumeirah’s restaurants, but we were too tired to even think about going anywhere else other than the restaurant’s main buffet area as it offered something for everyone! The kids got to wander around the three rooms of multiple cuisine choices and select whatever foods they liked, and my husband in the mean time worked his way round the three rooms and tried as much food as he could! Morning was greeted by an extensive buffet breakfast – the kids filled themselves with pancakes, waffles and juice and my husband tried again to complete the mission of eating everything from each station at the buffet area! After an hour or so of grazing, we headed out to the private beach which was deserted and everyone headed into the ocean for a swim, the water was crystal clear and very warm! Then we all headed back to the waterpark for the second time. Given we had arranged a late check out of 3pm it meant we could use the facilities for as long as possible! Whilst taking the two-minute walk to the waterpark, we noticed golf buggies zipping along the shoreline. A fun added bonus, free to use for anyone staying at the resort. So when we were finished at the waterpark, we changed and jumped in one of the buggies. 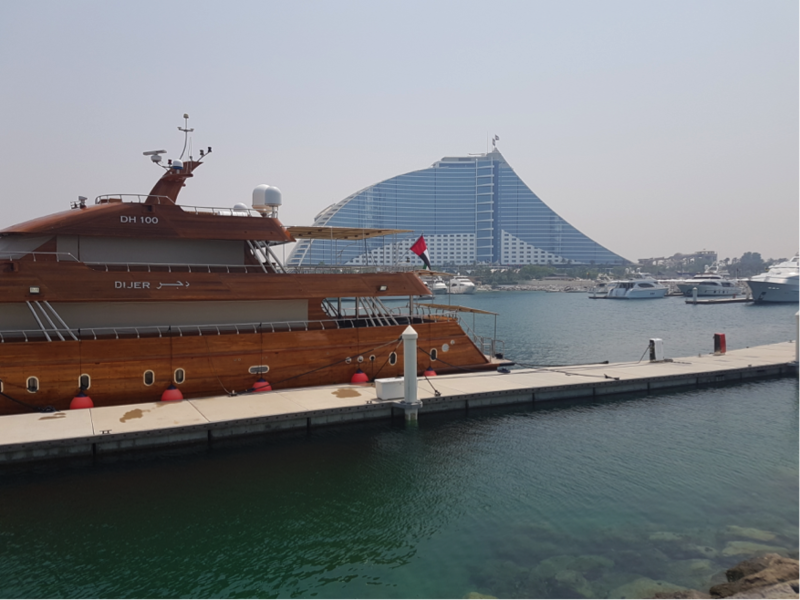 Our driver took us to the marina and we looked at the amazing boats and playthings of the rich and famous and then headed back along the shoreline to the four resorts that are part of the Jumeirah group. 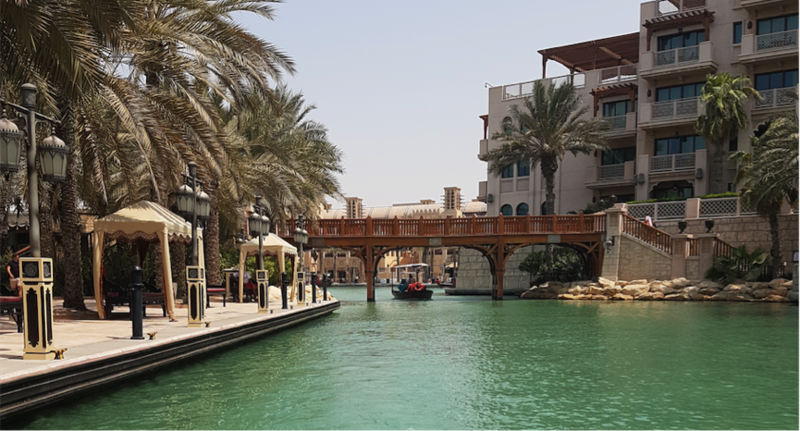 We discovered that at the Madinat Jumeirah resort there is an extensive network of canals and as guests of the Jumeirah Beach Resort we were able to take a free gondola ride which was great too! There were lovely shaded areas along the canals which was perfect to escape the heat of the day. Our flight to the UK was only 8 hours and it left early the next morning, we were flying from Abu Dhabi so after the free Etihad transfer bus to the airport we booked into a family room at the Premier Inn Hotel at the airport. Not quite the 5 star luxury we had stayed at the night before but it served a purpose, the beds were comfy and the shower was powerful and we all slept soundly. I know you are probably asking, did you not go and do a sand-dune ride or go to the shopping malls that everyone raves about? No we didn’t, we just chilled, swam, relaxed and enjoyed the facilities at the resort. We probably could have been anywhere in the world, but it felt like we were really on holiday before we headed off to Europe to see the relatives. Using the free bus service is a great way to save on your transport from Abu Dhabi to Dubai, but what they don’t tell you that if your flight is the next day that you are only given limited options for buses if you book online. We were given a 10pm bus, which would have had us arriving at midnight to the Abu Dhabi airport which with 2 kids would have been a disaster. I tried to arrange on the phone before we left but the customer service centre could not help us. However when we arrived in the morning at the bus depot on the way in, I asked if we could get the 7pm bus back and they said we should just turn up and if we couldn’t get on the 7pm there was a 7.30pm bus. We also did not realise that the check in at the bus depot was also the equivalent of the check in at the airport and we could have checked our bags in there and then if we had known we would have packed our bags better when we left the resort and just checked into the Premier Inn with one small bag. 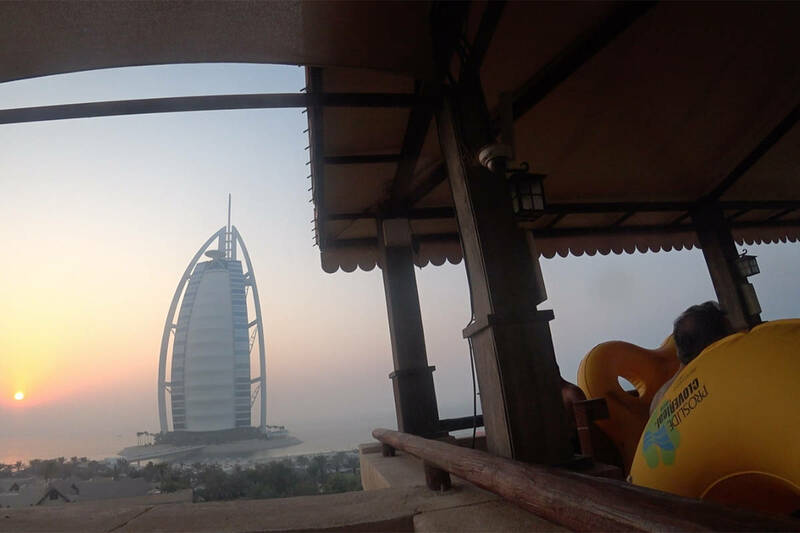 These are just a few small tips from a family who had a whirlwind visit to Dubai and squeezed as much fun and relaxation into the experience as we could!